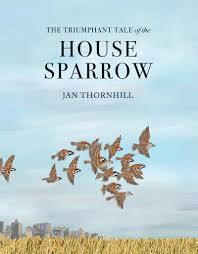 Thornhill takes readers on a marvelous journey through history to trace the origin of the House Sparrow. This “perky little bird” lives on every continent except Antarctica. Her engaging narrative explains how, in prehistoric times, the sparrow lived in the Middle East. It nested in the wild and migrated. “Then, around twelve thousand years ago, something in the neighborhood changed. The mammal that walked upright stopped roaming around and - wonder of wonders! - it started growing the sparrow’s favorite food. Grain.” With that, the sparrow changed its habits. With food so plentiful, the sparrow no longer needed to migrate. It could build nests in buildings or on the edge of grain fields. Quite quickly, it lost the knack for traveling long distance and became…the House Sparrow. Here are just a few facts I learned from this book. The House Sparrow was brought to the United States in 1852, because people who immigrated from European countries missed their cheerful chirps. Hopefully, their ability to adapt may be what saves them. 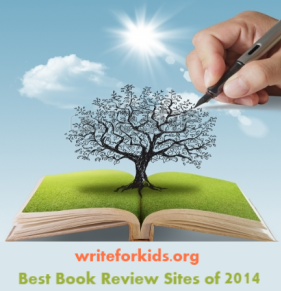 This book is well-researched using articles, books, and websites. Thornhill’s illustrations, created digitally, are beautiful and enhance all that is being explained in the text. Back matter includes a map with the origin and distribution of the House Sparrow; a brief description of its life cycle, and glossary. An interesting addition is a brief section that highlights other animals worldwide who have adapted to living among humans. As you share this book with all ages, ask why this is called a Triumphant Tale of the House Sparrow, when these birds are in decline? Thornhill might be referencing the fact that for over ten thousand years, this little bird is considered the most adaptable creature on earth. To write this review, I borrowed the book from my local public library. I LOVED this book as well as her book on the Auk!! So many fascinating details, all well told! !